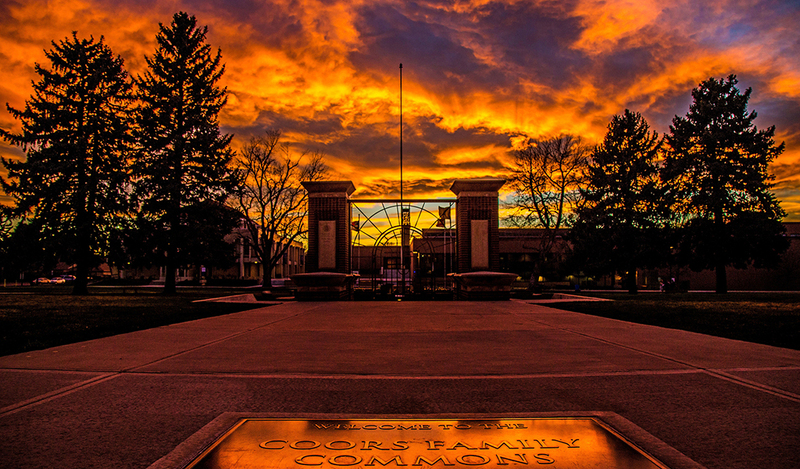 The maturation of the Rockies’ largest city into a cultural center made Denver the perfect metropolis in the West for JWU to bring its entrepreneurial spirit. JWU’s unique educational approach was recognized by civic leaders — particularly the Coors family and its foundation, which have generously supported the university’s mission. In 1999 JWU acquired a 10-acre traditional university campus that once housed Colorado Women’s College and later the University of Denver Law School. In 2003 the university exercised its option to purchase the remaining 15 acres of the campus. These combined purchases totaled $30.6 million. Since welcoming its inaugural class of 325 students in 2000, JWU has invested more than $48 million in additional construction and renovation to enhance and improve classroom facilities, culinary laboratories and residence halls on campus. An active participant in economic development and revitalization efforts in the surrounding area, JWU has revitalized the Park Hill neighborhood while creating an idyllic, park-like campus setting just 10 minutes from downtown. Majestic stone architecture surrounds a scenic central green, where students regularly meet for activities, or simply to relax and enjoy views of the mountains and downtown Denver. The exterior stabilization and restoration of historic Treat Hall — a national registered landmark — has involved extensive repairs to the original, finely crafted masonry, metal cornices and windows. In keeping with the building’s landmark status, great care has been taken to complete work in place where possible, match materials in an appropriate manner and minimize chemical and construction impact to the site. This work has involved replacing approximately 1,800 cubic feet of degraded stone. Many replacement pieces have been sculpted to match original decorative window sills, stone window lintels, stone bands, gable caps, parapet peak components and wall veneer sections. The campus’ latest renovation project turned historic Mason Hall into the Wildcat Center, a 21st-century athletic facility. The building was built in 1946 during the days of the Colorado Women’s College. Originally a dining hall, gymnasium and student lounge, the space was a great fit for its time but proved inefficient for the size of JWU’s current student body. Expansion has been cleverly configured within the existing building shell, preserving the historic nature of the building’s facade. The new gymnasium seats nearly 600, more than doubling its original capacity, and has space available to accommodate all varsity, club and intramural programming needs. The Fitness Center has been relocated to the second floor, allowing it to triple in size. A fitness studio has been added to increase fitness class offerings.